I teach students of all ages how to play the cello - adults, teenagers, and children as young as three and a half years old using the Suzuki Method. Lessons take place one-on-one at my home studio, and are thirty minutes to an hour depending on the age and level of the student. They are typically scheduled once a week, with group classes and recitals scheduled periodically throughout the year. What topics are covered in lessons? What activities take place? Lesson activities include repertoire, review, cello technique, listening and analysis skills, music theory, note-reading, music history, and acoustics. The first few months of lessons cover how to hold the cello and the bow, and how to use arms, legs, and back in a way that makes playing easy and healthy. The goal is to begin as simply as possible, and to gradually build on ability as the music becomes increasingly complex. As a teacher, I work hard to make sure that my students start out with good technique, so that it isn't necessary to go back and do remedial work, which can be frustrating. Parental involvement is a distinguishing feature of the Suzuki method. When a child is very young, one parent (we call this the the practicing parent) attends lessons and participates directly in them, learning to play themselves and helping their child in the lesson. They will take notes or record the lesson, and at home the child and parent will practice together. As the child grows older, the role of the parent naturally evolves as the child learns to practice on their own. Parents without any prior knowledge of music are welcome- you don't need to know anything about music to be a great Suzuki practicing parent - although you will learn a lot about music in the process! In addition to multiple performance opportunities in the form of studio recitals where the entire studio performs on one recital, students work towards their individual book recitals - once they have learned every piece in their Suzuki book, and reviewed it sufficiently, they're ready to get up and perform the entire book for memory for their friends and family. It's a very exciting moment, and quite an achievement! The Suzuki method is known for starting children on instruments as young as three and a half. For parents whose children are asking to play at this age, it can be great to know that it is possible, in fact preferable to begin lessons this young! Starting young has a lot of benefits. When a child begins to learn at three or four, playing their cellos emerges naturally out of pre-existing toddler play, and by the time they are old enough to be juggling homework, sports, and other activities they are already quite skilled cellists. By starting young, we are taking advantage of the child's innate abilities to learn quickly and well. It's not an exaggeration to say that the age a child begins can make a difference to their playing for the rest of the lives. Among adult musicians, it's entirely possible to spot someone who began at three or four because of the fluency and intuitiveness of their playing compared to those around them. A good rule of thumb is that children are generally ready for lessons when they are potty trained, can count up to 4 and know their alphabet from A to G, and when home life is organized in a way that regular weekly lessons and 5-10 minutes of regular practice a day is possible. In Suzuki education, young children do not need to be able to sit still or concentrated for any particular length of time prior to beginning lessons. Please feel free to contact me with any questions you may have. You can also investigate the Suzuki method further by visiting the Suzuki Association of the Americas webpage. 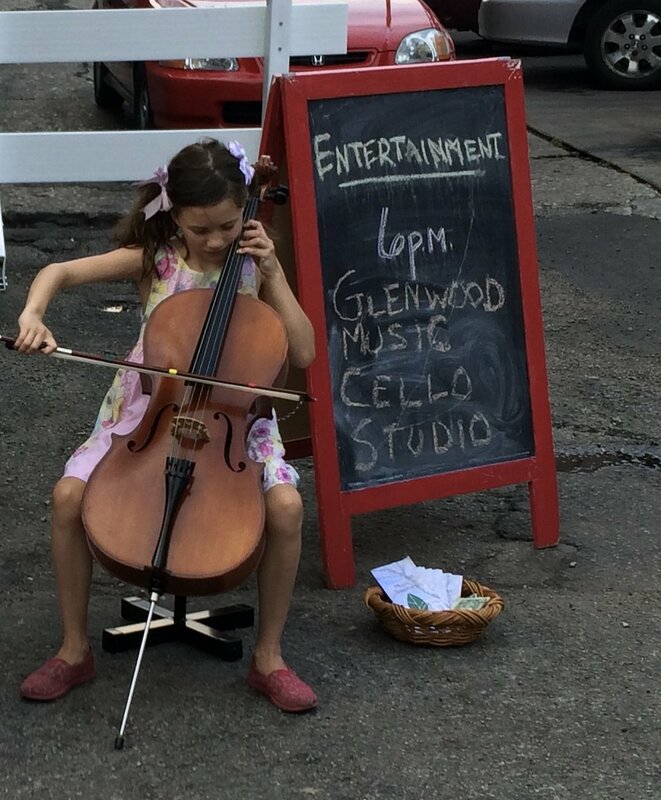 Interested in Suzuki cello lessons? Schedule a meet-up here!